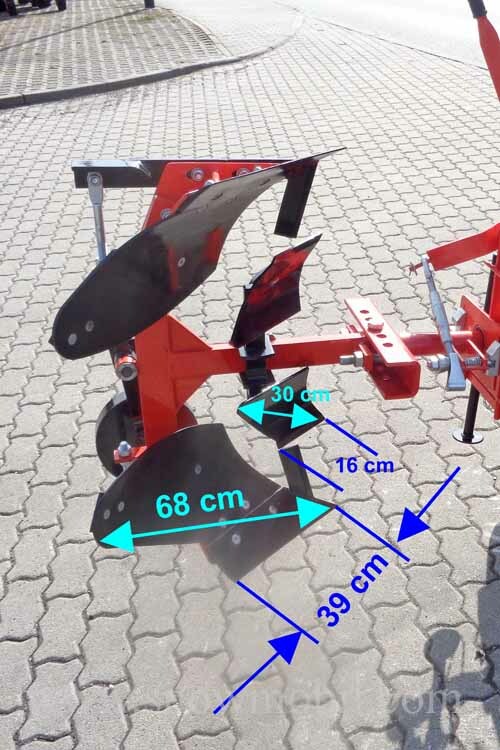 480,00 EUR 19 % VAT incl. 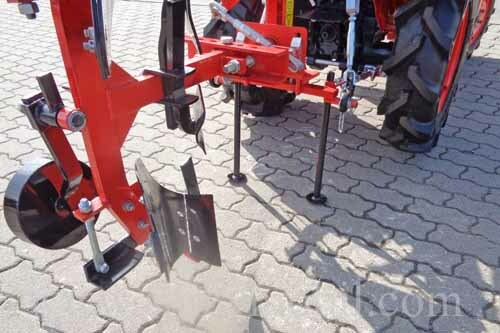 The plow is mounted in the rear three-point linkage KAT1. 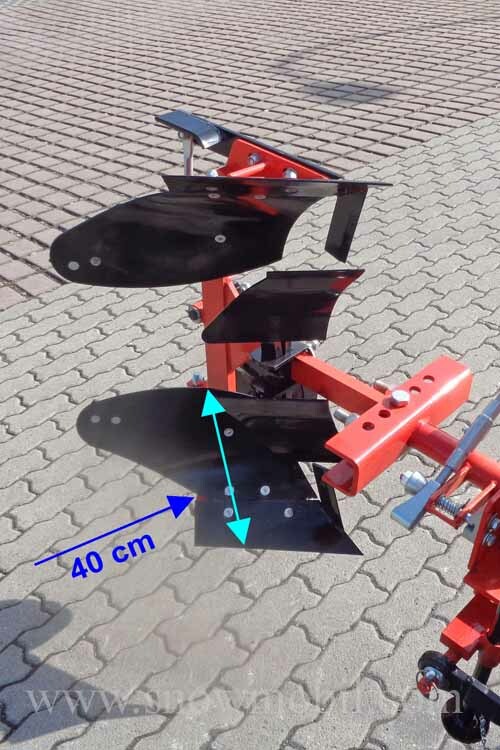 Reversible plow PF30 with jockey wheel, skimmers and 6x moveable sideways suitable for tractors from 12PS. 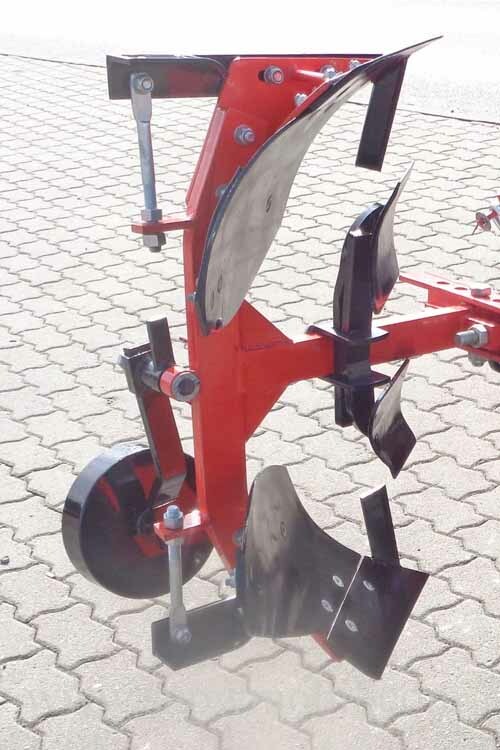 The plow is built very strong - the material has not been saved. This confirms the high weight of 108 kg. 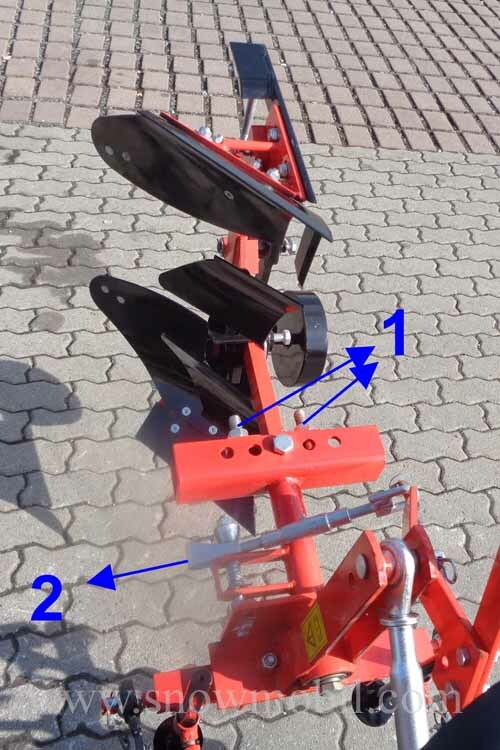 The two skimmers are steplessly adjustable. 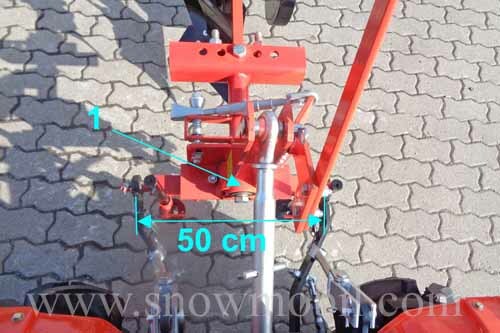 The plow can be adjusted laterally 5 times and rotated from the driver seat. 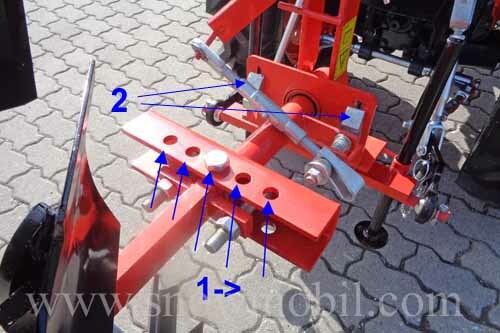 In the triangle holder, a ball bearing is installed, which allows you to rotate the turning plow from the seat by means of the lever and the necessary momentum. 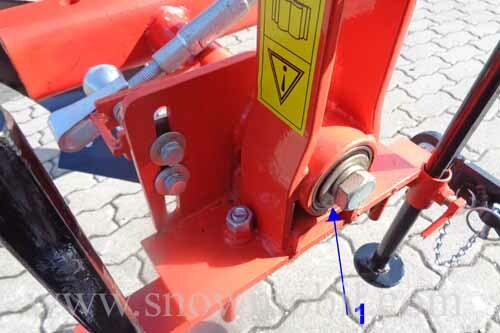 Many suppliers have incorporated no bearings and thus turning the plow, from the seat is almost impossible. 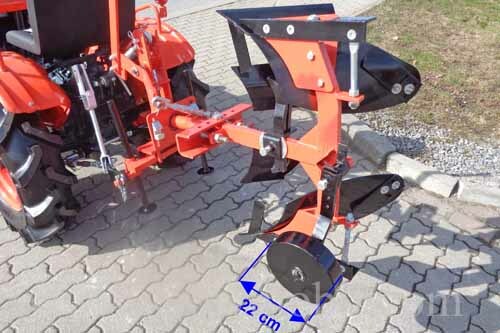 The support wheel folds down depending on the position of the plow. The skimmers are included as a standard. 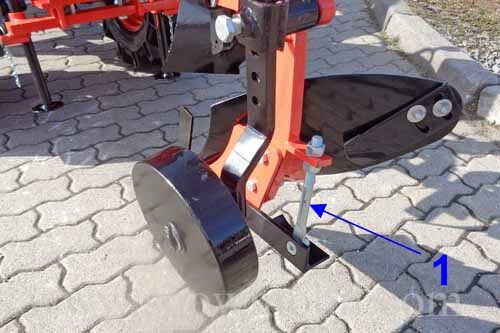 The peg supports are adjustable, that is, when you drive across a slope you can just set the plow. 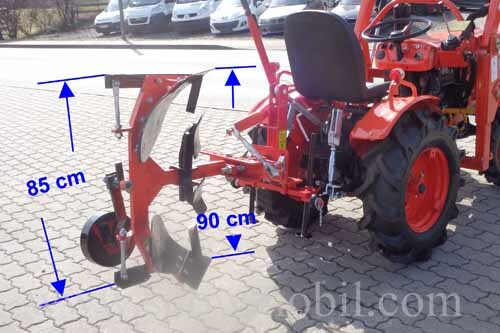 The tractor is therefore in the inclined position and the plow can be set exactly vertical by adjusting the peg supports. 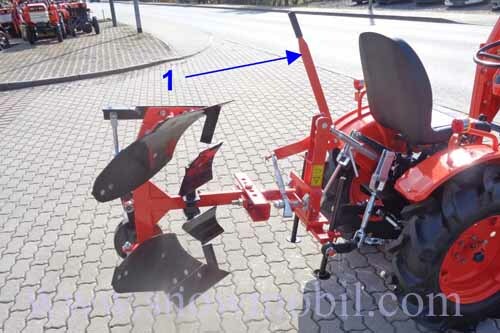 1 -> Lever to the plow swivel from the seat possible! The plow must be swung with a swing!